At the age of 6 Amrey Schaffeld started playing the violin. She was quite active in the orchestra of her school. Later she played violin and bagpipes in many different medieval-, folk- and folkrock-bands like "Off Limits" or as guest musician at "Sonor Teutonicus". 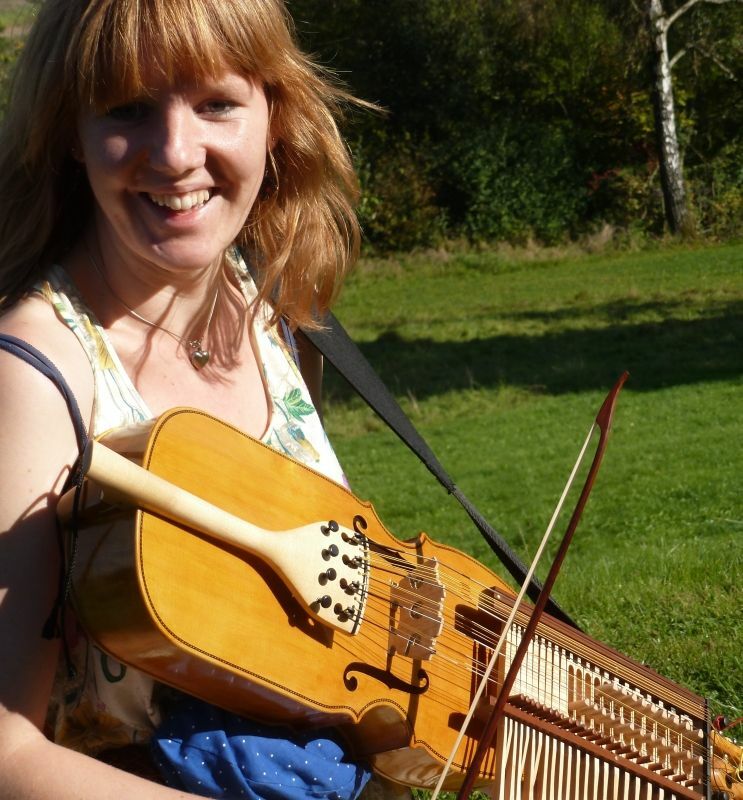 Today she is part of the bands "Lanky down Dilly" (irish folk) and "Lindelund" (swedish ballads). In february 2012 Amrey Schaffeld graduated the violin making school at Mittenwald in bavaria. In the same year she started building and playing nyckelharpas. For some time she worked at the violin makers shop Holfter at Stolberg, at the violinmakers shop Peter Schlarb in Aachen and for the nyckelharpa-maker Annette Osann at Dole, France. Now Amrey Schaffeld is building nyckelharpas of her own models. (c)2014 by Amrey Schaffeld. Die Rechte aller Textinhalte und Bilder liegen bei Amrey Schaffeld.